Animal Wildlife | Stick Insect | The stick insect (as its name suggests) is an insect that looks like a twig on a branch, bush or tree. 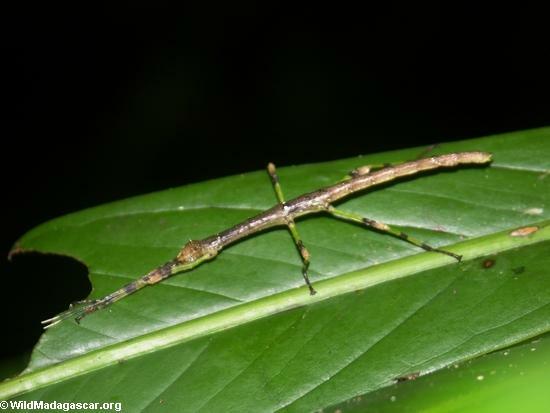 This unique identity means that stick insects can be extremely difficult for predators to spot. Stick insects are found in the forests, rainforests and jungles around the world where they live a peaceful lifestyle, expertly camouflaged into their surroundings. There are more than 3,000 different species of stick insect in the world, with more being thought to have not yet been discovered. 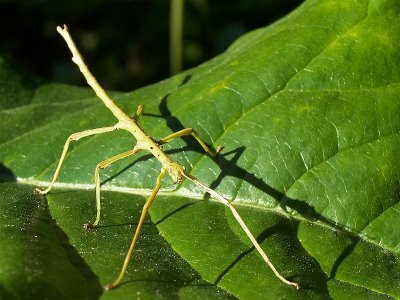 Stick insects can range in size from just 3 cm to 30 cm in length. Stick insects have long, cylindrical bodies, that are stick-like in both shape and colour. Some stick insect species however have more flattened bodies which make them look more like leaves than sticks. The stick insect is a herbivorous animal meaning that the diet of the stick insect is purely a vegetarian one. Stick insects mainly feed on leaves and other green plants, along with the odd berries or fruit. Due to their small size, stick insects have numerous predators in their tree-surrounded environment, if they can be seen that is. 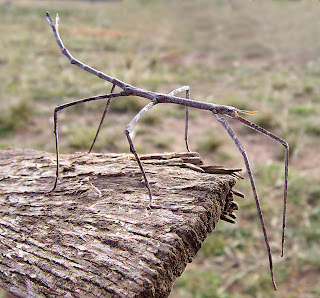 Birds, small reptiles, and rodents all feed on the stick insect if they are able to find one. 2 Responses to "Stick Insect"